Rima was born in London in 1979 to a family of artists and has always been stubborn about living the things that make her heart sing. 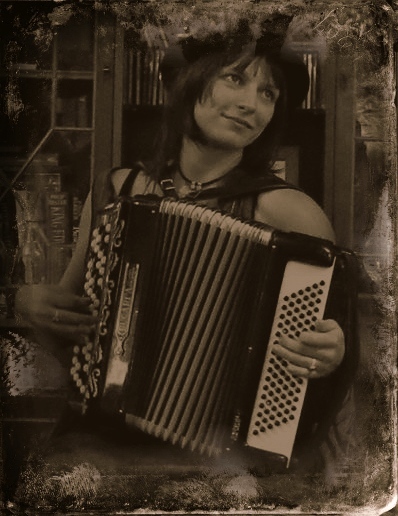 She lives and travels with Tom Hirons (a writer, storyteller, acupuncturist, poet & wilderness rites of passage guide), and their young son, in Hedgespoken - a vehicle for the imagination - a travelling offgrid home and theatre built on a 1966 Bedford truck. Rima's artwork has appeared in and on books, magazines, and record covers on both sides of the Atlantic. She maintains a passionately-followed blog at intothehermitage.blogspot.com and has sold paintings and prints of her work (as well as the clocks she makes) in her travels the length and breadth of Britain. 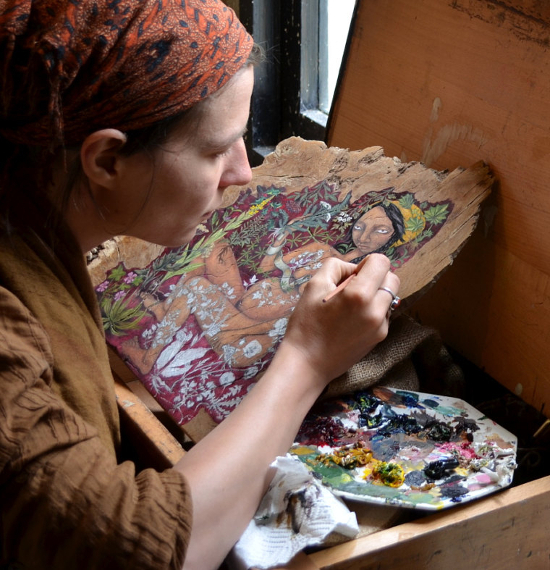 Her work hangs on walls in six of the seven continents. 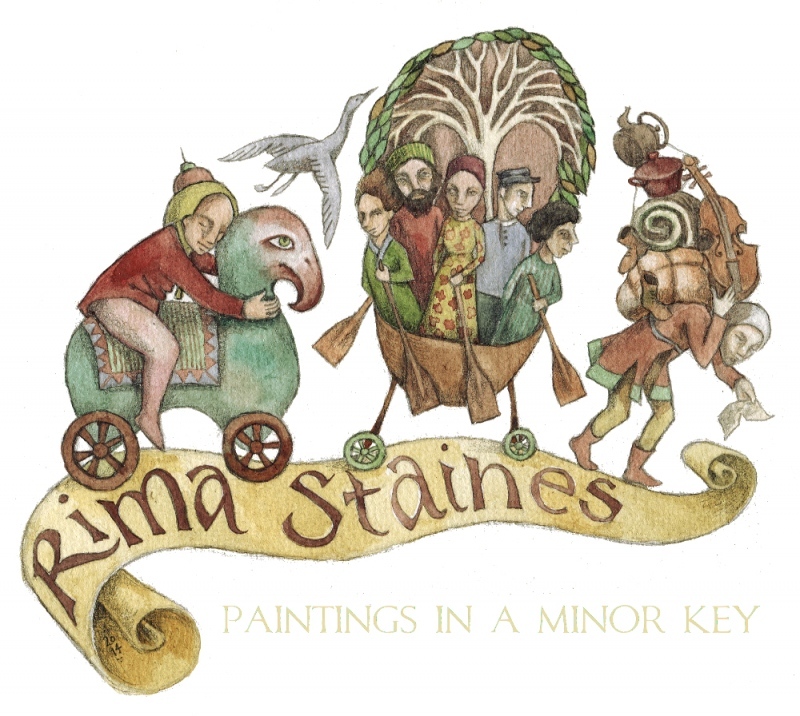 ALL ARTWORK, PHOTOGRAPHY, WRITING & VIDEO ON THIS WEBSITE COPYRIGHT © RIMA STAINES 2007 - 2018. ALL RIGHTS RESERVED.